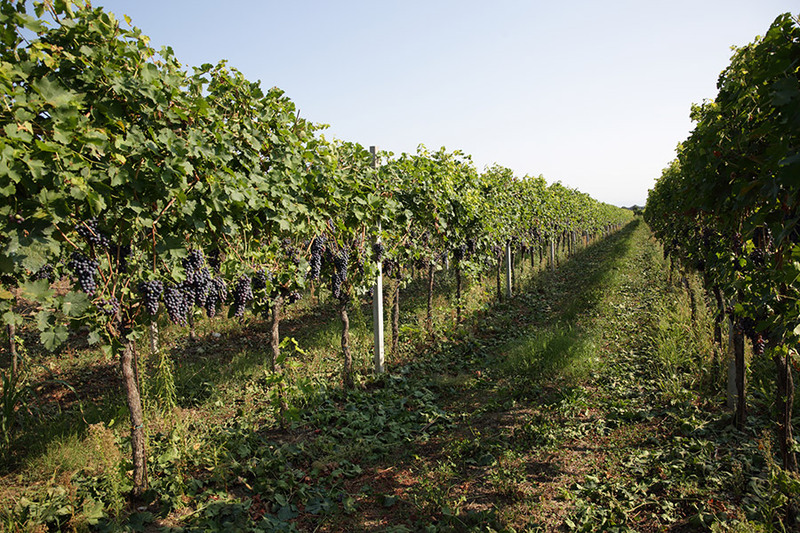 Our vineyards are located on the hills surrounding Castelnuovo di Garda, a few kilometers south-east of Garda Lake. We are located on the edge of the Dolomites, ancient glaciers formed this beautiful alpine region. The particularly mild micro-climate allows the growth of some Mediterranean climate plants like vines, olive trees or even citrus, which are extremely rare at this latitude (46° North). We have embraced the principles of sustainability in the management of our vineyards. Spontaneous grassing is used in all our vineyards allowing the creation of a habitat rich in biodiversity of both plants and animals; techniques such as the alternate mowing of the rows allow the development of wildlife in the vineyard. The maintenance of biodiversity is fundamental for our us, therefore, in addition to the vines, we manage and protect all the neighboring areas (groves, wetlands, refuge areas) that allow the presence of many different species. Since 2012, the winery has adhered to the main national protocols of sustainable wine production, we participate in the Tergeo project of Unione Italiana Vini. We are one of the organizers of the “Festa dell'uva”, a wine festival that takes place every year at the end of the summer in Castelnuovo del Garda, usually a weekend in the mid-September. In addition, several cultural and historical exhibitions are taking place during the whole weekend in this beautiful land of olive groves and vineyards.